The punishing Pasadena heat had taken its toll – the lactic acid had built up and no amount of fluids taken on board could address the imbalance. His calf muscle seized and he slumped to the floor. Teammates Paolo Maldini and Luigi Apolloni rushed to his aid, forcing his foot back to relieve the tension in his leg as the physio staff approached with an electric cart. 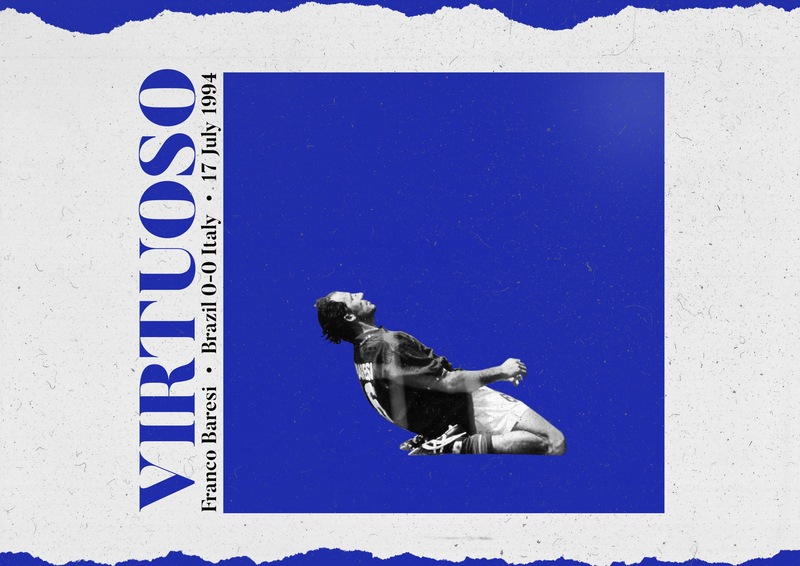 Franco Baresi had come this far and he wasn’t going to let cramp end his tournament. A tournament that looked as good as over three weeks before. A meniscal strain in the knee usually takes between six to eight weeks to heal; a tear takes months, with many requiring surgery. When Azzurri captain Baresi hobbled off during the second game of USA 94 his prognosis was not good: the meniscus had fractured, a huge injury for a player in the twilight of his career. The relief of Dino Baggio’s tournament-saving goal against Norway was tempered by the impending suspension of goalkeeper Gianluca Pagliuca, sent off in the match, and now the injury to Baresi. Adversity was nothing new to Baresi, orphaned as a child by the tragic loss of his parents, Franco, brother Giuseppe and two sisters had to grow up quickly in Travagliato, Lombardy. Twenty-three-year-old Luisa took on the role of mother to her two football-mad brothers and younger sister. Giuseppe joined Internazionale but Franco was rejected by the Nerazzurri, receiving a second chance by their city rivals at the request of a local coach. The AC Milan libero had already made a comeback for the national team. Retiring from international football after Euro 92, Baresi looked for one more chance on the game’s biggest stage. A squad member of the glorious World Cup-winning squad at Spain 82, he never set foot on the pitch, so such an achievement felt alien to him. Baresi was unmoved when asked to reconsider his retirement and only the intervention of the Italian football association smoothed the way for his return. The Azzurri had got off to their usual slow start but were growing into the tournament. While few gave him any chance of playing again that summer, Baresi targeted the final. If Italy could make the showpiece event, then he would move heaven and earth to be there. Any surgery to repair his shattered meniscus would give Baresi three weeks recovery time to face the world’s greatest strikers. Two days on from the injury Baresi couldn’t straighten his leg. The Italian medical staff sprung into action, surgery was booked and, following a 20-minute procedure, the recovery process was underway. Baresi’s wife, son and father-in-law all flew out for moral support. Two days after the procedure Baresi was back on his feet and the impossible dream was given life as Italy scraped through the group stages. With their talismanic captain absent, Roberto Baggio put the Azzurri on his back and carried them all the way to the final. Baresi, remarkably, had made it back, declaring himself fit and leaving the decision at the feet of manager Arrigo Sacchi. For him the choice was clear: if Baresi was available, he played. His Milan teammate Paolo Maldini would slot in beside him as the Azzurri’s best hope of stopping the Brazilian strike force. That would be the destructive duo of Bebeto and Romário. Marshalled by Dunga, the Seleção had flattered to deceive during the tournament yet had made their first final since 1970. The final would be played at Pasadena’s Rose Bowl, the importance of worldwide viewing figures ensuring the game would be contested under the unforgiving midday California sun. Any concerns over Baresi were quickly abolished as the game got underway. The man known as ‘Piscinin’ – Little One – was at his imperious best. His reading of the game was second to none and, during the final, it advanced to a level where Baresi seemed to know where the ball was going before the player passing it did. Whilst this Brazil side would not go down alongside the teams that graced the World Cups of 1970 and 1982, they still had match winners. Baresi snuffed out the impish threat of Romario; the Barcelona man accompanied wherever he went. While Baresi helped nullify the attacking might of Brazil, he also carried a threat to them, bursting out of defence in his trademark way, breaking the lines and starting attacks. One such break resulted in him being the furthest Azzurri player up the pitch, though, as was becoming a trend, the attack came to nothing. Time and again, the Brazil midfield’s attempts to knit passes through the Italian back line were nullified by Baresi. Stepping across, he cut out through-ball after through-ball, often launching the Azzurri into an attack in the process. With the heat sapping the life out of the game, a goalless draw seemed inevitable and a penalty shootout beckoned. Baresi’s work rate was evident when cramp threatened to end his match. Again, he rose to his feet and strode forward to take the first penalty in the shootout. Wearily, with socks rolled down and hair soaked with sweat, he placed the ball on the spot. With all the remaining strength left in his legs, he stepped up. Originally deciding to put the ball to Claúdio Taffarel’s left, he fatefully changed his mind at the vital moment and sent the ball over the bar. He slumped to his knees, head in hands. When Baggio sent his deciding penalty the same way, Baresi was inconsolable. The blood, sweat and tears from the last three weeks ended in defeat. His penalty was lost in the maelstrom of Baggio’s miss, which handed the trophy to Brazil, yet both players are intrinsically linked. While many observers tend to remember the penalty misses, without Baggio the Azzurri would have been nowhere near the final. 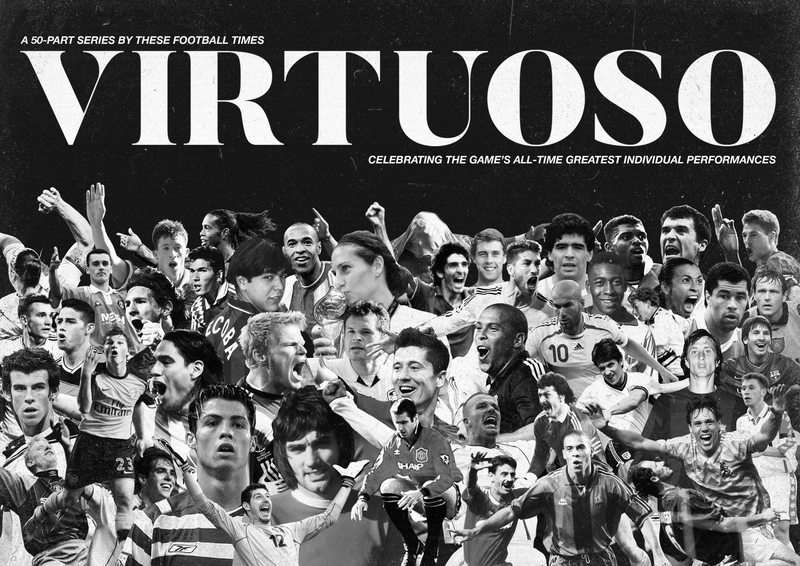 Baresi’s own superhuman endeavours, made in the name of simply playing a part in the game, became the stuff of legend. If football gods existed, they were particularly cruel that day. In response, Baresi remained astonishingly level-headed, saying it must have been destiny that brought such a result and that Brazil simply deserved it more than Italy. To this day, he remains one of Italy’s greatest defenders and, despite the game’s result, his performance against Brazil would remain his finest two hours for the Azzurri.